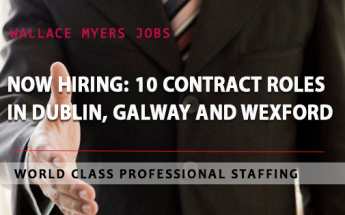 Wallace Myers International is the recruitment agency of choice for organisations seeking staffing solutions of the highest calibre. 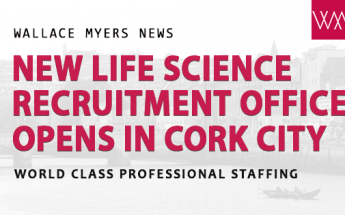 With offices in Dublin and Cork, we are the market leaders in professional recruitment and lead the way in the following staffing disciplines - Accountancy, Financial Services, HR, Business Support, Construction, Life Science Engineering, Communications & Marketing, Retail, Technology, Executive Search and Multilingual. Latest Positions - just added! Sarah is outstanding at what she does. She takes a pragmatic and professional approach to her work which has proved to be highly effective. I know colleagues who are now in rewarding jobs as a result of Sarah's input. Gavin is an excellent recruiter, very professional and supportive. 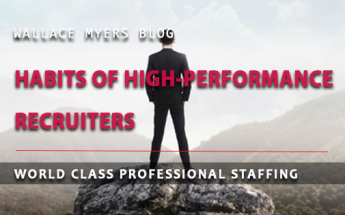 A very strong knowledge of the recruitment market and the HR field. Provided valuable support to me throughout the process including interview preparation– which I really appreciated. I highly recommend Gavin and I look forward to working with him again in the future. Thanks very much Gavin! Gareth placed me in my current role and I cannot praise him enough. When it came to my interview Gareth was in regular contact in the days leading up to it to make sure I was adequately prepared and his advice was invaluable on the day, really helping to calm the nerves beforehand. I highly recommend him if you are considering a move. Paul helped me obtain a great job in an area I had never ventured in but always have wanted to, not only that he was also a great help when relocating from Dublin to Galway. He listened to what I was seeking in terms of a career path and made the process extremely easy and kept me up to date with every step. When I met Paul for a meeting before my interview he was exceptionally6 professional and polite. I couldn't recommend him more. Excellent job all around which is what any professional needs when it comes to their career. Thank you again Paul! Paul was most helpful in placing me with a new company which I start next month. Having explained what I wanted in a role and the experience I want to gain, he arranged an interview with a company that I believe will benefit me both in terms of salary & experience. He gave solid advice prior to the interview. He is not like other recruiters who hassle you and bother you. Very professional and I am grateful for his assistant. An excellent and very professional recruiter and an all-around great guy. Would highly recommend if you're looking for new opportunities. David works hard on your behalf. Gives a huge personal effort to find you the right role and then to help you secure it. Excellent attitude and all around pleasure to deal with. Thank you so much Susan for all your great help, fantastic support and encouragement through the process of getting my new job. You are a dream recruiter and I am most grateful to you. I felt like you really "saw me" and fought for what we both saw was a perfect match, when my CV is so unique. Robert recently helped me secure a new position. Throughout the whole recruitment process, it was a utmost pleasure to have Robert's assistance. Securing this new position was made possible by Robert's professional and personal approach and his excellent communication skills. From the very first phone call to the acceptance of the contract, he was always available to assist me. I would highly recommend Robert to anyone looking for a career change or any company looking to fill a vacancy. Robert helped me find a new challenge within the retail sector, a pleasure to work with put. Always kept me up to date with news and always available to talk when called upon. Highly recommended. Ken adds significant value to the recruitment process and goes to great lengths to ensure the right fit between candidates and the potential employer. He spends a lot time understanding exactly what the client needs and ensuring that only the right candidates are put forward for a position. Ken is an excellent communicator and is very effective at keeping all parties fully updated at all stages of the recruitment process. He also acts as a superb facilitator to ensure the recruitment process stays within appropriate time lines for all parties. Shane is an extremely driven and passionate recruiter. I have just been appointed as Head of Sales...thanks to Shane and his team. I really appreciated all the skills, coaching and interview tips throughout the selection process. Shane made sure that my career development was at the heart of everything we did. I recommend Shane to anyone looking for a bigger opportunity to enhance their career. Stephen is an excellent recruiter. He provided me with an incredible service that is second to none. His recruitment agency and the team is one of a kind. Gareth is a very detail oriented professional who is hard working and tenacious. Gareth knows the financial space very well and knows the needs and desires of his clients. His network makes him a valuable partner in the search for interesting offers. Gareth was a pleasure to work with. Top quality, great results. Ken has shaped my career in Recruitment...I have never met anyone so passionate and driven about Recruitment. Ken..finds solutions for clients quickly and continues to build a responsible business with plenty of charitable activity. Thank you so much, Laura Casey, for finding me my new amazing job. Laura was so helpful, patient and she really gets the job done. Anyone looking for something special in their career, this is the main woman you need. The Head of Development is a new and very important role for COPE Galway. Working with Wallace Myers has ensured that we found a really great fit and I am absolutely confident that our new senior executive will enhance both the organisation and our revenue generating opportunities. Thanks, Ken and all your team – you really understood our needs and streamlined the whole process for us. VCC are very grateful for the interest in our work, support, professionalism and attention to detail that was brought to helping us recruit a key member of staff to join our team. I would highly recommend others to get in touch with the Wallace Myers team for your next hire. Gavin recently helped us to fill the HR manager role. He was very helpful and professional throughout the process. He understood the needs of our organisation and provided us with excellent candidates to meet with and interview. With Gavin's support, we completed a successful recruitment process and are very happy with the outcome. Thanks Gavin. Sinead has been of enoromous assistance in recruiting many talented people for my team. She has the ability to identify the exact skill set and team fit required for the roles available. Sinead is very responsive and her follow up and client focus is second to none. Gavin was a pleasure to work with and quickly got to grips with the company and the required candidates - he successfully sourced 2 key new recruits in a short space of time when the hiring process was quite time sensitive. Prior to communicating with Gavin, I had very little experience with Recruitment Agencies before. Most agencies I dealt with were not very informative or efficient, however Gavin really is an exception. Within days of submitting my application for a role, Gavin contacted me to discuss the role. He kept in regular contact with me throughout the whole process to constantly keep me updated. Whenever I had any queries, Gavin was very efficient in responding so I never felt unsure. He also contacted me before my interview for preparation and contacted me straight away afterwards to know how it went. Now having secured the position, I couldn't recommend Gavin highly enough. He is extremely polite, professional, efficient and informative. I told Gavin exactly what I was looking for and he truly delivered. Thank you Gavin once again!! When I first met Laura I was seeking enthusiastic and fast paced Trainee and Assistant Managers to join my team in a rapidly expanding retailer , Laura was professional, efficient and an excellent listener. The candidates that she put forward to me were of a very high standard. Laura puts her clients first and shows a great interest in them. Working with Laura on our requirements is always a pleasure, I would recommend Laura to any client seeking to fulfil their recruitment needs. Laura takes the time to listen to the brief given and works both effortlessly and professionally to deliver. Laura understands the nature of our business and has a really high standard when it comes to candidate calibre. I worked for Ken for over 3 years at Wallace Myers International and it was a very rewarding and enjoyable time. I have never met anyone so passionate and knowledgeable about recruitment. Ken has acted as an exceptional mentor and helped shaped my career in recruitment. Ken has a clear vision for the growth of the company and stays true to the values that have helped ensure that the company is world class in the industry. For anyone looking to establish or grow their career in recruitment I could not recommend Wallace Myers highly enough. Sinead was instrumental in me securing my new position. Her guidance, patience and communication along the way was at all times professional, accurate and pivotal in my success. I could not recommend Sinead highly enough. Thank you so much Sinead. I recently started my new through the help of Nicole. She was lovely to deal with over the phone, very fast to reply making sure that I was informed throughout the whole process and got me. I would highly recommend Nicole. Also the card sent to me was a lovely touch. I had the pleasure of working with Gareth over three years ago and found him to go above and beyond in his search for the ideal role I had outlined to him at the time. I was particularly impressed by Gareth’s knowledge of the Finance / Accounting sector and his connections with potential clients. He was extremely specific and focused in relation to the role I sought - and delivered this in the end. My experience of working with Gareth was exceptional. From initial contact until he successfully placed me into my current role, he consistently supported me in my application. He went above and beyond to ensure I was prepared for the interview and provided an approachable but professional service. Highly recommended. Nicole represented me while looking for a new opportunity. She was extremely professional. She was always available to answer any kind of question, always on top of everything and extremely helpful. She guided me throughout the whole process and with her knowledge and skills I was able to find a great work opportunity. All her tips about interviews and the process of change were on target. I would most definitely recommend Nicole if you’re thinking of looking for something new. I had recently become unemployed and came across a job that Nicole was looking for candidates for, straight away she wanted to meet me to get to know what I was looking for and the experience that I have. From there Nicole presented me with a number of job opportunities and finally placed me with my current employer. I've been in my new role for a month now and love it. Nicole was great from start to finish of the process and if I ever choose to change jobs again then I'll definitely be in touch. Thanks again for all your help. Meeting Nicole was a blessing for me! I recently started my new role with Aryzta Food Solution through her help. She was such professional, she kept me informed through all the process and was very fast on replies. I would highly recommend her, she was such a great person to deal with, always eager to help! Gavin is very professional and proactive. He is always courteous and polite and takes the time to listen to your career needs and aspirations. Gavin placed me in a very reputable Company and I thoroughly enjoyed the role and have benchmarked my future career moves off this placement. Gavin is a pleasure to deal with and I would recommend him to other HR professionals considering a move within their field. I highly recommend Gavin. I found the process really simple as he understood what I wanted from my next role. He positioned roles that suited what I wanted and was very efficient. Gavin is a real professional and very focused on his clients. He has a strong work ethic that comes to the front while engaged in any task he is involved in. He is very honest and pays great attention to detail. Gavin will always put the needs of the customer first as he listens and communicates on a level that is required to meet the needs and expectations of his Clients. I recommend Gavin to anybody seeking his Companies services or anybody looking for a top of the best HR professionals. Gavin assisted me in my search for new employment. I found his approach to be extremely pragmatic & consistent throughout. Gavin took the time to really listen to what I wanted in my next career move and as a result he placed me in my current role, which I could not be happier about. I would have absolutely no hesitation in recommending Gavin whether searching for employment or looking for your next hire. I partnered with Gavin to hire a key role within my team this year. Gavin used his insight to our business and to current members of my team to truly find the perfect candidate from both an experience and cultural perspective. Gavin is a pleasure to work with and I am sure we will cross paths on recruitment opportunities in the future. I would highly recommend Gavin to any potential candidate or employer looking for support filling a role. Gavin has always been very supportive and informative throughout my recruitment process. During my first week Gavin gave me a quick call to check in to see if everything was okay. It's great to see someone love and care about their work. Thanks for your continued support and help Gavin. I worked with Gavin in Wallace Myers over a number of years when I managed a high volume outsourced recruitment model. As a PSL member and a key strategic recruitment partner, Gavin consistently delivered on all recruitment requirements. Gavin is also extremely professional, helpful and a pleasure to work with. Gavin is an expert in his field, from start to finish my interaction with Gavin was professional and efficient. From a candidate's perspective he was always open and honest with me regarding the realities of the market and the individual opportunities he had available. This is a refreshing and welcomed trait as it ensures, as a candidate, you are fully aware of the challenges and opportunities that may be available to you as a prospective employee. I would highly recommend Gavin Tonks as a recruiter in terms of his professionalism, expertise and efficiency. His level of understanding of recruitment and selection is to be commended. Gavin possesses an excellent knowledge and insight of the recruitment industry and I can not recommend him highly enough. Gavin supported me hiring for a HR Generalist position I had on my team. We had a detailed call at the beginning of the process and it really helped streamline cv's that came in matching our requirements. Gavin was professional, efficient and friendly to work with and followed up throughout the recruitment process. Which resulted in a great hire of a generalist to our team. Highly recommend Gavin. Gavin's professionalism and expertise in recruitment was apparent from my first encounter with him. This was also evident when he placed me in my ideal role quicker than I could have asked for. I was extremely impressed with Gavin's professionalism as well as his personal approach in putting me at ease throughout the process of job searching. Gavin was very helpful and professional when finding me a role in Dublin. I would most definitely recommend him and Wallace Myers International for their friendly, efficient and professional approach. Prior to working with Gavin I had no experience in recruitment agencies, nor had I ever considered working with one. Now however, I can't recommend them enough. I was living in the States with plans to move back to Ireland in the pipeline. Gavin found me via LinkedIn and approached me with my dream job. He was extremely helpful every step of the way. He not only enabled me to fully understand the role on offer, but also the needs and the wants of the company itself. He knew he wouldn't be wasting either of our times by putting me forward. As the interview process was broken up into 3 stages, and actually got delayed longer than expected, Gavin communicated with me on a regular basis keeping me as in the loop as possible. When I got to the final round back in Dublin, I met with Gavin to go over my presentation and to prepare for my interview. He was vital to my success. He gave me so many great insights and tips to ensure success. Even after I secured the role, Gavin still kept in contact to see how things were going, which says a lot about how invested in his work and clients he is. I can't recommend Gavin enough and have already be referring friends to him. If you're looking for a change, Gavin is definitely the man to see. Working on a recent requirement for Generali Link, Gavin quickly presented me with a shortlist of qualified and experienced candidates, among whom was the perfect addition to our team. During the interview process it was clear to me the level of preparation invested in the candidate by Gavin, making our own job that much easier. Gavin is thorough, professional and a pleasure to work with. Gavin is a professional who is great to work with and keeps the focus on both the client as well as the applicants needs. He manages expectations well and is clear in his guidance. Gavin assisted me in landing my ideal role. He was so helpful from day 1, he was constantly keeping me updated on feedback and even when there was no feedback he stayed in touch and chased feedback for me. After starting the job he checked in numerous times to see if I was enjoying the role and even went above and beyond and sent me a good luck card for starting the new role. I would have no problem recommending Gavin to anyone he is a delight to deal with and made my process a very smooth one. Gavin was an absolute gentleman to work with. He was extremely honest and transparent from the get go for the job I secured, the job he sold me is the exact job I am doing. He was so quick to set up an interview and subsequently get me feedback, the turnaround was like no other. His phone was always available when I needed him as well. Couldn’t recommend Gavin enough. Great guy. Prior to communicating with Gavin, I had very little experience with recruitment agencies before. Most agencies I dealt with were not very informative or efficient, however Gavin really is an exception. Within days of submitting my application for a role, Gavin contacted me to discuss the role. He kept in regular contact with me throughout the whole process to constantly keep me updated. Whenever I had any queries, Gavin was very efficient in responding so I never felt unsure. He also contacted me before my interview for preparation and contacted me straight away afterwards to know how it went. Now having secured the position, I couldn't recommend Gavin highly enough. He is extremely polite, professional, efficient and informative. I told Gavin exactly what I was looking for and he truly delivered. Thank you Gavin once again!! I’ve had the distinct pleasure of having been a client of Gavin as a HR professional seeking a new career opportunity back in 2017. I can say, without hesitation, that he has exceeded my expectations, Gavin doesn’t view the hiring process as being a sporting event (“winning at all costs”); instead, he knows that looking for a good match should be a “win-win” proposition. Gavin has matched my professional profile with the perfect organisation who’s ethos of sustainability and CSR model I thrive in. It’s rare that you come across standout talent like Gavin’s, he has helped me immensely during the recruitment process. His professional approach is only matched by his ingenuity and by the close rapport he holds with key organisations. Gavin is an extremely valuable point of contact, he has provided me with continuous advice before and throughout my placement. Keeping in touch on a monthly basis, making sure that all is going well in the role I’ve been placed, he’s demonstrated altruistic qualities I have never experienced with any other recruiter. Ultimately, thanks to Gavin’s valuable advice & negotiation skills, I have secured an extension of my existing contract. I highly recommend Gavin and his professional recruitment services. He is an honest and forthright professional in his own right and does an excellent job matching professional’s desires to a company’s needs. I have to say Sarah was fantastic. Very open, honest, responsive, diligent, very easy to deal with and always did what she said was going to do - and that was pretty much always ahead of schedule. Highly recommend Sarah. Sarah has recently helped me find new employment after being made redundant. She has maintained fantastic communication throughout the entire process, always keeping me in the loop and has been very supportive.